I loved your feedback on the visual meal plan, so I’m going to stick with it for now! 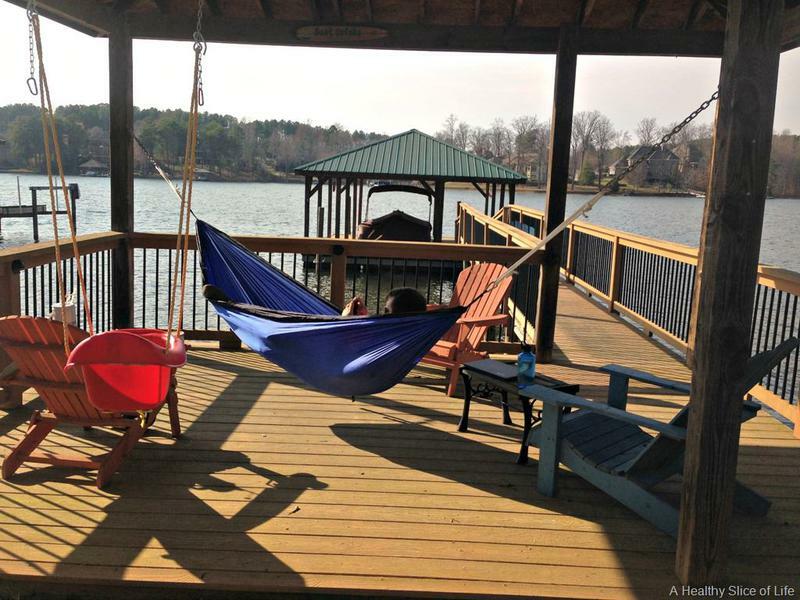 But first, a brief weekend recap. 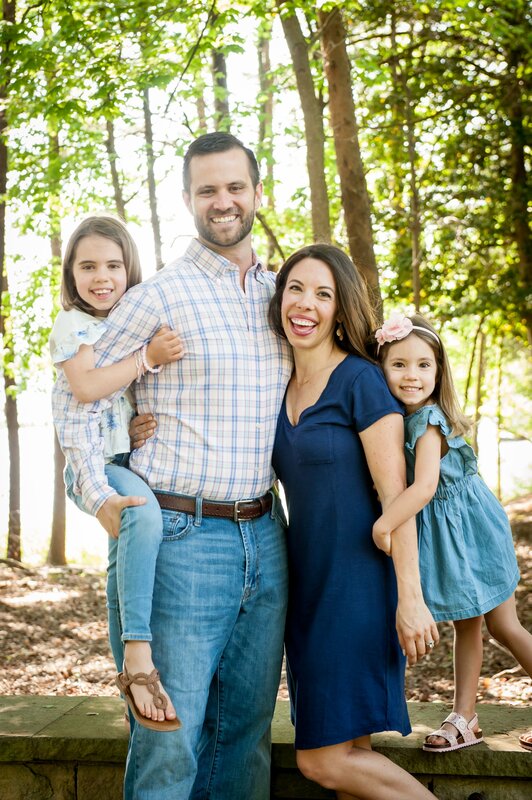 Hailey and I kept ourselves busy on Saturday with the gym and errands, and since David was home by dinner time, I excitedly checked an item off my do-before-baby list… the Japanese Steakhouse experience! I can’t tell you the last time I’ve been to one, so it was definitely Hailey’s first time and it was priceless! Fear not, she always clapped afterwards and her face remained in amazement the entire time. It was hilarious! She even managed a veggie or two with chopsticks. With David working again Sunday, Hailey and I took it upon ourselves to join some friends at church, then grabbed lunch out together. By then, she was over my picture taking. 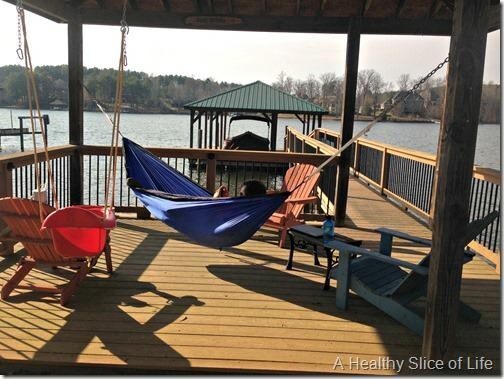 Sunday afternoon was gorgeous and we spent as much of it as possible outside. 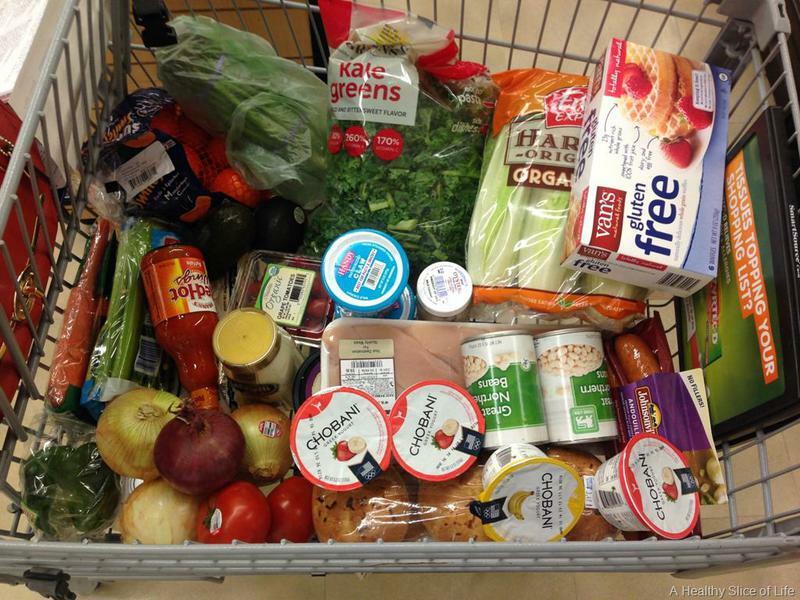 I briefly ripped myself away to go grocery shopping. To keep it quick, I just ran to Food Lion and though they don’t carry every item I need/want, it got the job done and at a low price, too! 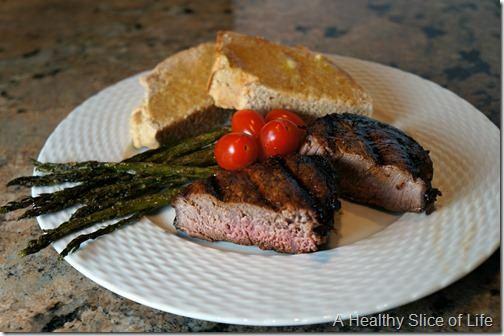 So enough about the weekend… here’s last week’s meals! 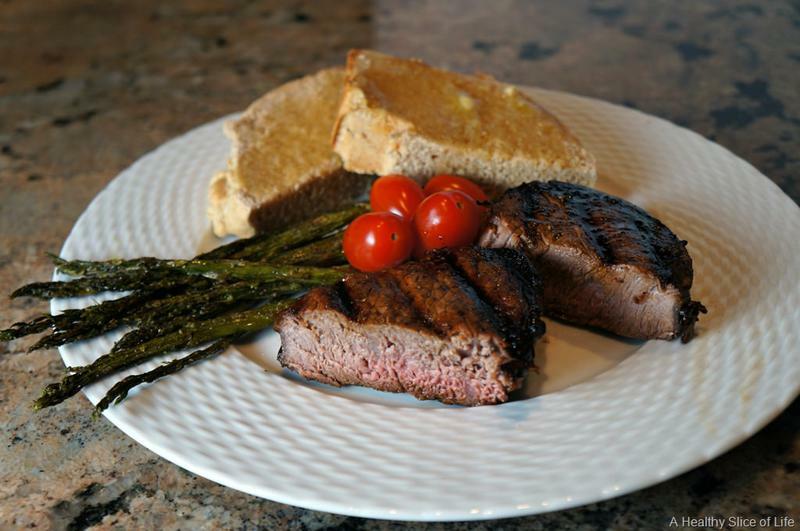 Sunday: Grilled steaks, roasted asparagus, grape tomatoes and homemade bread. 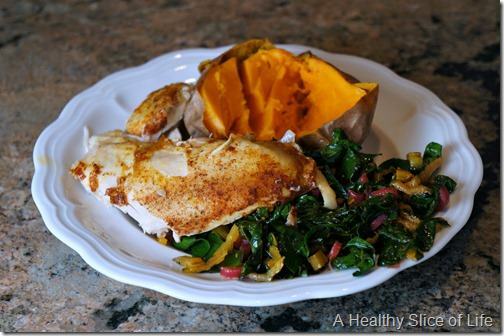 Monday– Crockpot roasted chicken, sautéed rainbow chard and baked sweet potato. 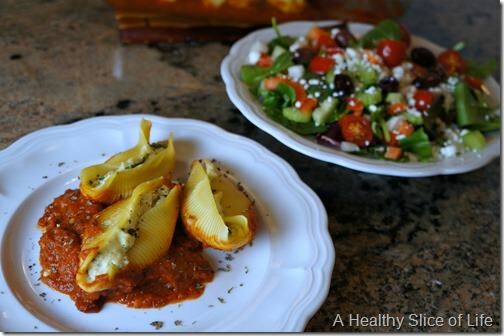 Tuesday– Spinach & ricotta stuffed shells with salad. 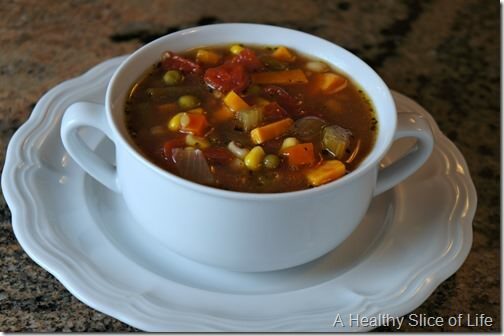 Wednesday– Homemade vegetable barley soup with bone broth. 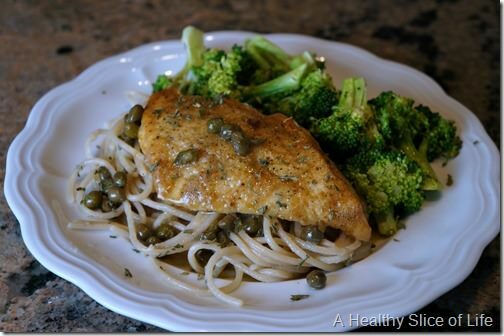 Thursday– Chicken picatta over brown rice spaghetti with steamed broccoli. 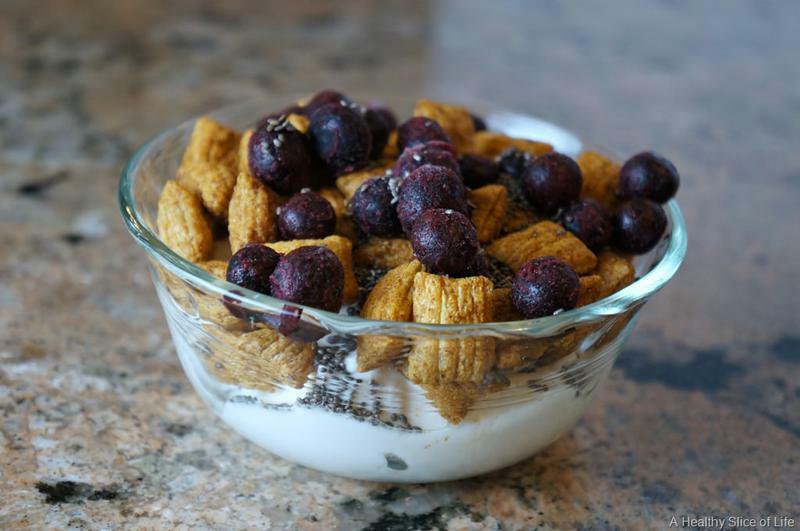 Greek yogurt bowls with Puffins, frozen blueberries and chia seeds. 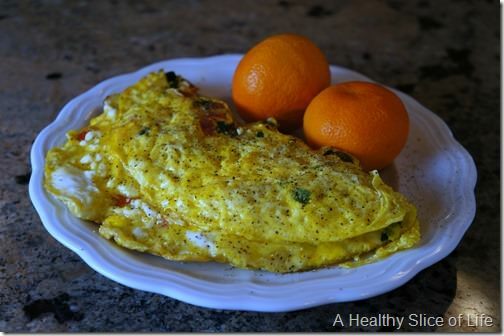 Giant omelet (shared with H) with peppers, onions, spinach and goat cheese. 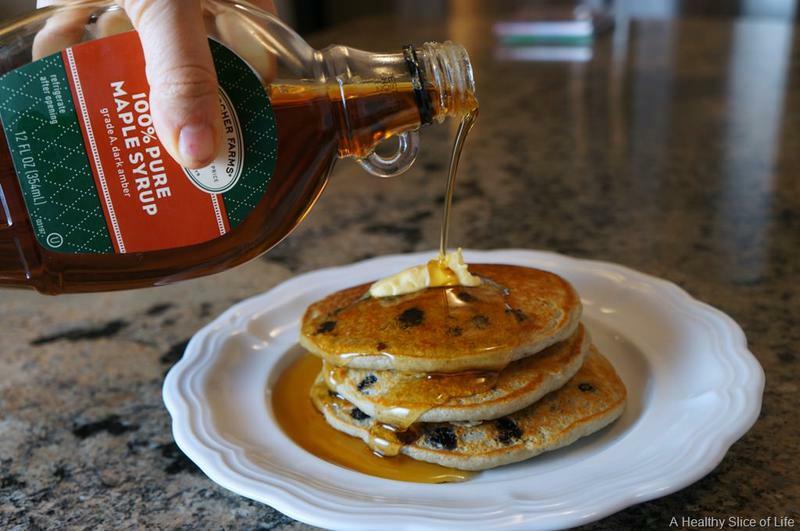 Blueberry walnut pancakes to make a Wednesday feel like the weekend! 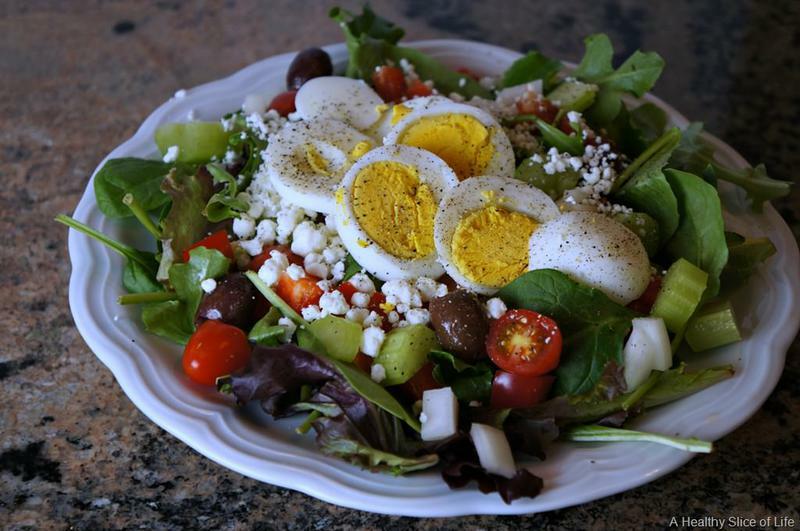 Lunches are typically leftovers or salads, so I don’t share many of those, but I did switch things up by boiling some eggs and they made my salads extra satisfying (and pretty!) for the week! Whew, that’s quite the picture overload, isn’t it? I’ll work on it! Are you a Japanese Steakhouse fan? I am! I’m a sucker for all the sipping sauces and ginger dressing, of course! 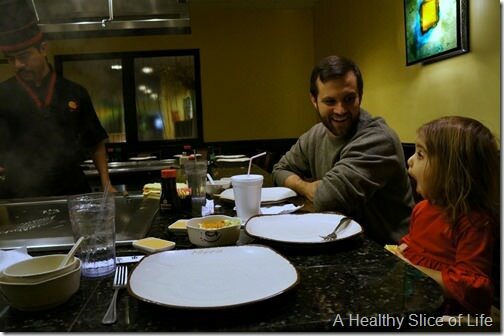 haha hibachi is so fun at any age! great photos! 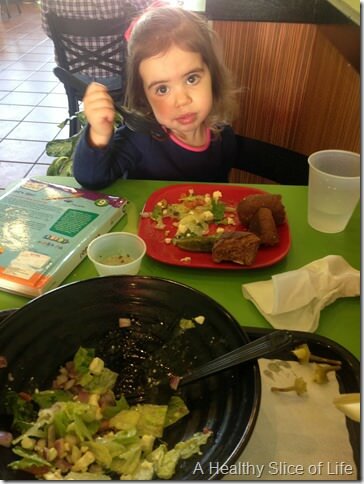 Lol about her reaction to the grill. It’s moments like these that make parenthood worthwhile. I need pregnancy snack ideas…you know that are healthy. 🙂 tips? Hailey’s reactions are hilarious and oh-so-cute! 😀 And all of the meals look great. Especially the stuffed shells, pizza, and the giant omelet! I just have one question regarding the pizza… What recipe for dough do you use? Do you always use the cauliflower base? Thanks in advance! 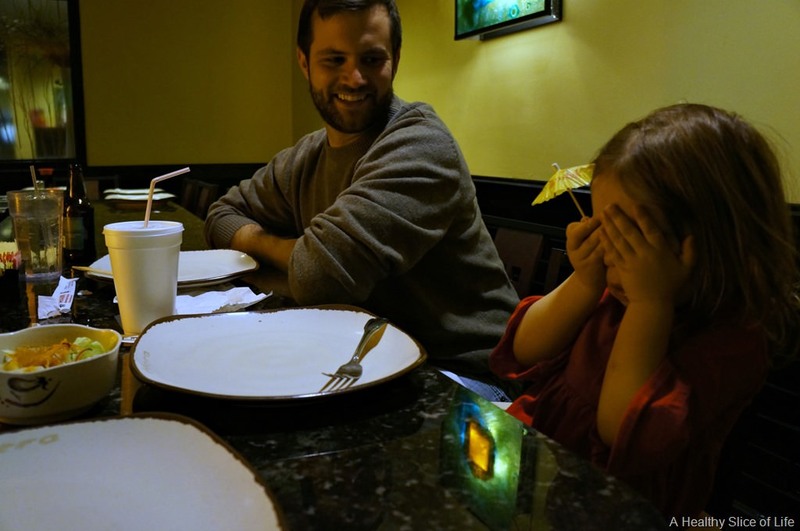 I’ve eaten at a Japanese steak house a grand total of one time and I think I probably had the same expression as Hailey at the volcano. I loooove these posts! 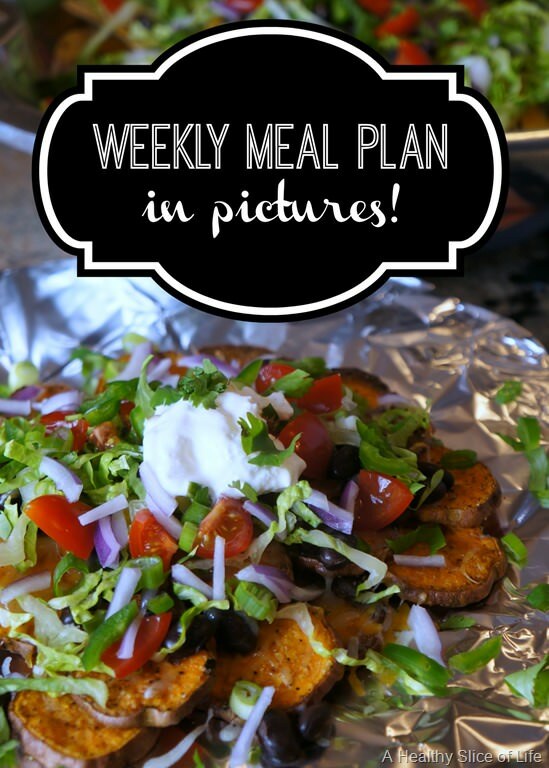 They not only make me hungry but they give me excellent ideas for our weekly eats. 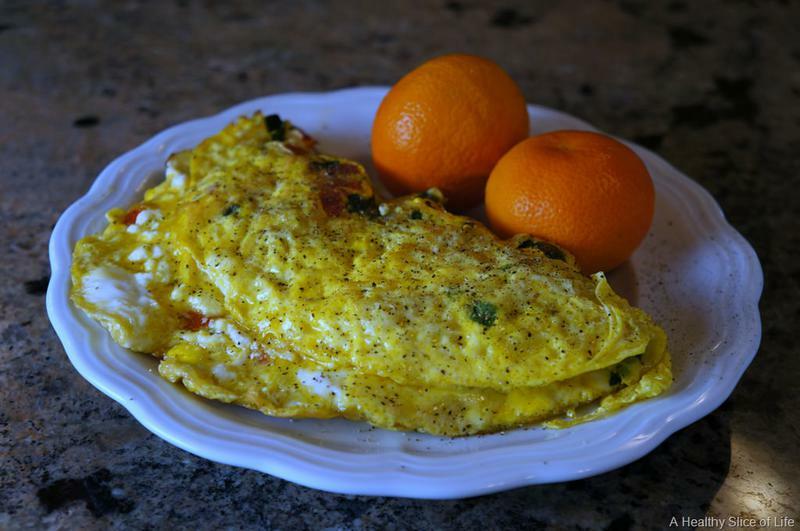 Any chance you could post links to recipes too? Yes, I definitely need to do a better job about that. I’m actually working on a new design for the blog which is going to require relogging of all my recipes (probably more info than you were after ;)), but long story short, I hope to start being able to link to recipes and have more available in the next few weeks! Yum! So many great meals here! 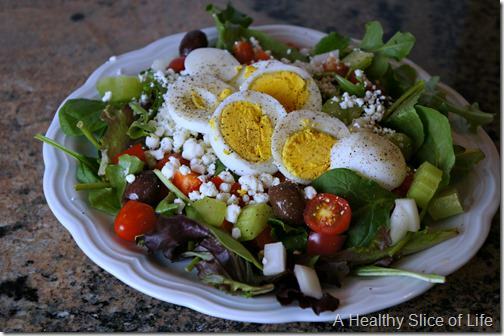 I will be doing my meal planning later this morning, so I’m going to use this post for some inspiration! katie recently posted..Monday Moment: Motivation! 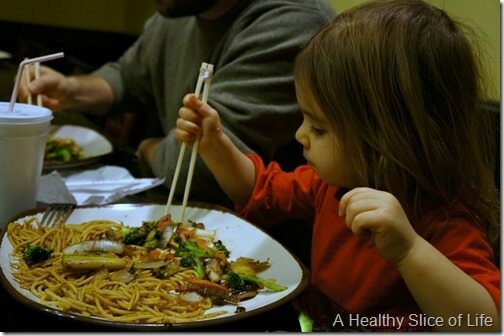 Ok, so I have been obsessed with Japanese Hibachi since I was young. It was a thing my family always did when visiting Myrtle Beach 😉 There are only eleventy billion of them there. Oh my goodness your meals look amazing! I’m so impressed with how you can switch it up, especially for breakfast! Ahh! Taking her to hibachi is such a great idea! I’m totally going to copy you. My bday is in a few weeks and I told Jeff I’d rather us all go out to dinner than leave Wyatt at home. It’d be the perfect opportunity! 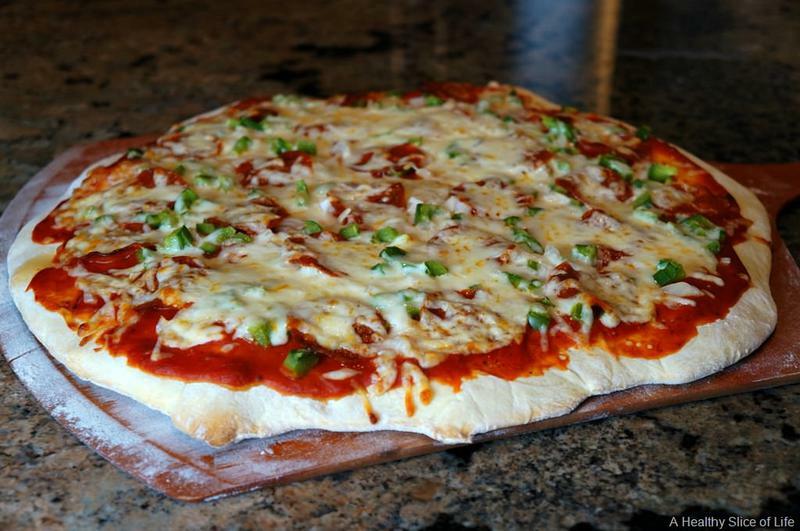 Homemade pizza is a regular/weekly staple for us, too – you just cannot go wrong with it! I’ve actually never been to a Japanese steakhouse, but apparently I need to remedy that! Hailey’s reactions are great. Ha ha. We did homemade pizza this weekend as well, but now I’m thinking of making that salmon recipe you posted not too long ago – it was a huge hit when I made it the first time! 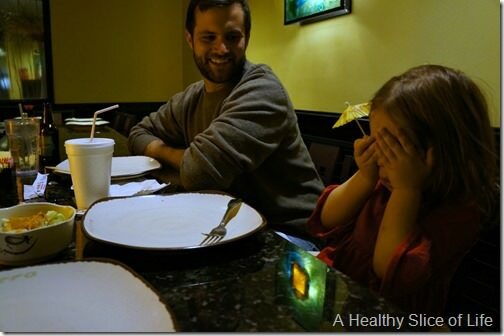 Oh we’ve been wanting to take our son to a local Hibachi grill! Looks like it was a blast and now I really want to go! Thanks for sharing! I really do love your meal plans! Will you possibly post some advice for cooking seafood? I picked up some scallops from Trader Joes and got so panicked that I under cooked them! ” But what counts in the final analysis is that God knows I am telling the truth, and that I mean it completely when I say I shall continue permitting you to go unchallenged in your cynically lying self-conceit, save for periodic letters such as this; while you BLASPHEME even more COMPLETELY the SACREDNESS of a TRUTH behind the formal upholding of which you so delight in hiding, even and especially from yourselves; at the EXPENSE of those who truly UPHOLD it, and are thus PERSECUTED in its very name. Heroes Of Camelot cheat generates to your Heroes Of Camelot game unlimited Gems and unlimited Gold. With the addition of fashion forward retailers that are able to ship products anywhere in the country the Internet is becoming a place where people with a developed taste of style can find the elegant clothing that appeals to their fashion sense. The Google algorithm changes hundreds of times each year, so it is impossible to promise an organic rank that will last more than a short period of time. of the product thats in picture. now. Rhode Island is where he’s been living for years. I used to be unemployed and this time I am a hotel receptionist. 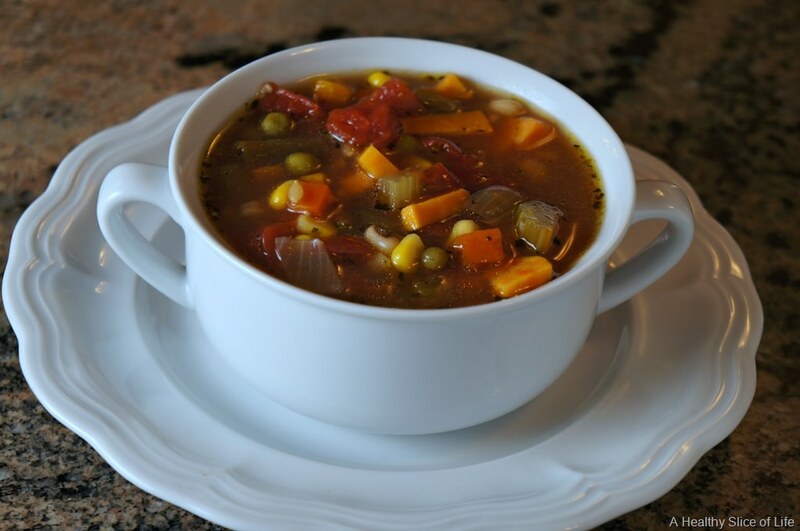 to successfully boil down your alternatives with these at heart.